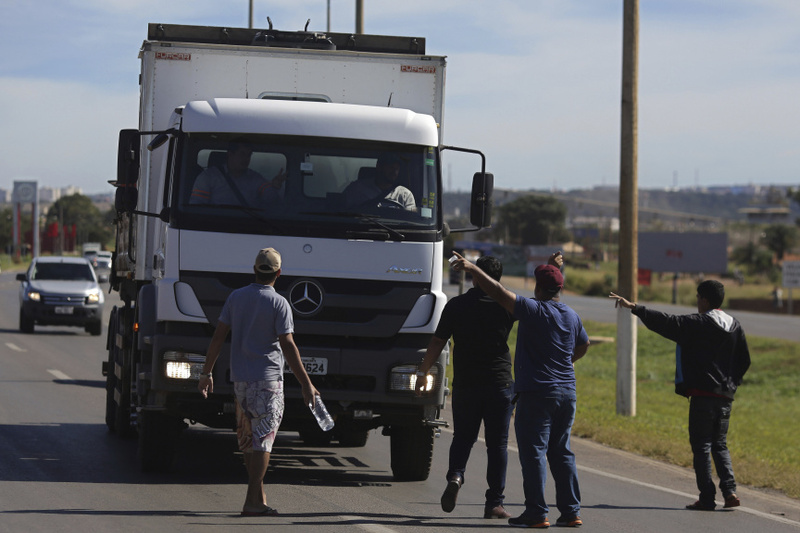 RIO DE JANEIRO (AP) — Truckers in several Brazil states are blocking roads and highways to protest rising diesel prices. Tuesday was the second day in a row that truckers snarled traffic and impeded delivery of several goods. Latin America's largest nation is a key producer of several food and energy-related commodities, and most are transported by road. Diesel prices have been steadily rising over the last year as world oil prices have gone up and the Brazilian real has devalued sharply against the U.S. dollar. Officials at state oil company Petrobras on Tuesday announced a small price reduction. However, truckers quickly said it was not enough. Truckers complain that the rising prices have cut deeply into their income.